Passionate about the mysteries birthstones have collected through ages of legends and lore? Discover more about the bizarre case of the December Birthstone in our post today. Everybody knows that birthstones correspond to the 12 months of the year. Also, in certain esoteric theories they are associated with the 12 astrological signs. These are the so-called Astrological Birthstones. The December birthstone is a unique case as its representative gems vary significantly according to cultures. There are also considerable differences between official lists of birthstones adopted by jewelers associations worldwide. What Is the Birthstone for December in the US? Until the twentieth century, Bloodstone and Ruby were known as the birthstones for December, but in 1912 the American National Association of Jewelers replaced them with Turquoise and Lapis Lazuli. However, Ruby is still the representative gemstone for Capricorns in astrological studies. In 1952, the Jewelry Industry Council of America brought modification to the list by changing Lapis Lazuli with Zircon. Tanzanite was chosen as a December birthstone only in 2002 by the American Gem Trade Association. What Is the Birthstone for December in the UK? While Turquoise, Zircon, and Tanzanite are the official December birthstones in America, the British consider only Tanzanite and Turquoise as the month’s representative gems. What Is the December Birthstone in Other Cultures? To make things even more curious, according to a Hindu text from the 19th century, the gem for the last month of the year is Topaz. Coincidentally, Topaz is associated with Sagittarius, the astrological sign that corresponds to the period between 22 November and 21 December. According to Horace L. Thomson, the author of a book on strange beliefs collected by astrological birthstones through ages, color has always played an important part in legends and beliefs about precious gems. Color ranked high among the qualities whoch ancients valued in gems. They placed rubbies, sapphires, amethysts, and emerals far above the white or colorless stones. The healing powers and mysterious properties attached to birthstones were affected by the difference between warm and cold colors. In ancient times and cultures, reddish and yellow stones were considered “warm” and they were believed to have protective powers against cold-related ailments. So, wearing a December birthstone such as the red zircon would protect you against a sore throat. As concerns the December birthstone color symbolism corresponding to the other gems, blue-hued stones, such as the Turquoise or Tanzanite, would be valuable in reducing fever. Let’s take a further look at the characteristics of each December Birthstone. Color Spectrum: This enchanting crystal occurs in delicate shades of dark blue with a hint of violet. Its color spectrum ranges from ultramarine to purple-blue. Composition: Tanzanite is a mineral that belongs to the Sorosilicates category. Scientifically it is known as a zoisite. Significant Sources: The gem has a special status among other birthstones as it is very rare. It appears only in Tanzania, East Africa. The mineral, naturally, is named after the place of its origin. Lore: As Tanzanite is a more recently discovered mineral, literature has not recorded any legends. It was the Tiffany Company that presented the gem to the public. 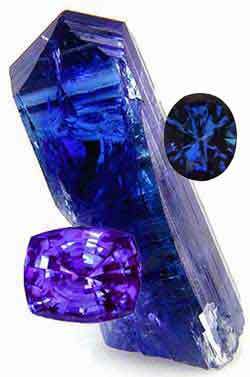 Healing Properties: Tanzanite has a considerable vibratory force. Both physically and spiritually, it is known for its calming, soothing properties. As it is associated with the Third-Eye Chakra, the stone is said to have psychic powers as it cleanses the aura. Recommended Uses: The crystal is recommended for professionals who want to overcome communication issues, or just to enhance their interpersonal qualities. Color Spectrum: The stone showcases watery and celestial hues from greenish to deep blue. Its color can vary from greenish and bluish grays to yellowish green too. Sky blue remains the favored color by Turquoise wearers. Composition: Turquoise is a phosphate mineral of copper and aluminum. Significant Sources: Iran, US (Arizona, New Mexico, Nevada, California), Sinai, China, Australia, North India. Lore: There are ancient pieces of evidence that Turquoise was worn as an amulet or carved into worshiped shapes. People believed that the stone would protect them from danger and illness while bringing happiness. Tibetans mainly thought that Turquoise is a divine manifestation and jewelry made of it were regarded as family heirlooms. Healing Properties: Nowadays, the stone is still believed to enhance an excellent state of health and harmony. Physically, ii is said to be anti-inflammatory, as well as detoxifying. Besides fighting viral infections, it also helps with depression and anxiety. As it is connected to the superior chakras, it assists in conditions of eyes, brain, neck, and throat. Recommended Uses: Turquoise is used not only in physical healing practices but also for its spiritual energy. Those born in December should wear it as it enhances vitality and serenity. Color Spectrum: this gem comes in various shades ranging from red and yellow to gray, green, and brown. There is a colorless variant of Zircon as well. Composition: chemically, the stone belongs to the Nesosilicates category. It is scientifically known as zirconium silicate. Significant Sources: Thailand, Australia, Tanzania, Sri Lanka. Lore: there are many mysterious legends attached to Zircon. In ancient time, people considered the stone to protect them from malign forces. In the fourteenth century, the stone was used in the form of amulets against the Black Death. It was also used as an antidote against poison. Healing Properties: Due to its natural red to brown shades, Zircon is associated with the Root Chakra. While spiritually it helps with grounding, physically is thought to aid digestion. Recommended Uses: Due to its intense vibration, this stone is beneficial to those in search of balance and self-confidence. 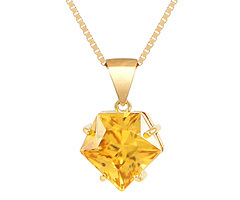 Jewelry pieces made from Zircon are ideal for those born under the sign of Sagittarius. So, this birthstone for December makes for lovely gifts. Now that you have discovered more about the curious case of these precious gems, you should consider choosing your jewelry items wisely. It is essential not to wear the wrong stones. For instance, astrologically speaking, Zircon favors all signs except Taurus and Scorpio. For further advice on what birthstones to choose for you or your loved ones, please make sure to check out our complete Access Gems Birthstone Jewelry Guide. As always, we want to provide our readers with as much information as there is available about this fascinating topic. Please consider the following authors and books as essential guides to gems symbolism and properties through cultures. Beside the Legend of Zircon, in this book you will find everything about Astrological Birthstones. The online version of this material can be found here. A fuse between romantic and scientific materials, this is probably one of the most consistent histories of birthstones and other popular gems in use. The best part is that you can find it online in a full version. Are you born in the last month of the year? What is your favorite December Birthstone? Does any of the gems described in our post appeal to you in a mysterious way? Feel free to contact us and let us know what you think. Photo Credits: 1, 2, 3, 4, 5, 6, 7. Hey Buddy!, I found this information for you: "The Curious Case of the December Birthstone". Here is the website link: https://accessgems.com/december-birthstone-curious-case/. Thank you.